Partner holds you with his right hand around your neck. His left hand is grasping your left wrist. Bend your body slightly forward, pushing forward with your left hand. Step back to your left side, at the same time turning your left hip. Catch the back of his hand with your right hand, thus applying Sankyo. Keep moving your body to your partner's front, your left hand catching him just above his elbow. 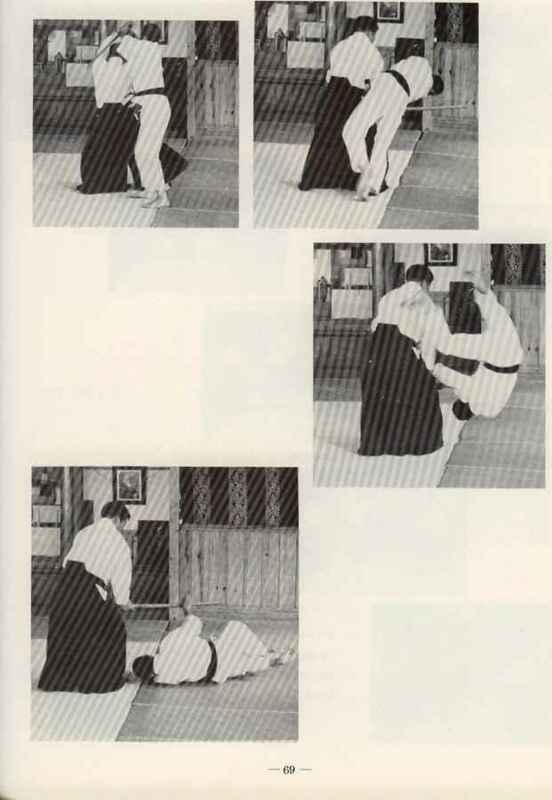 Move your body backwards, lowering your partner on to the mat. Kneel down with your left knee by his neck. The other knee is by his side. Ensure that his arm is straight. Change from your right hand holding his wrist to your left. Push your right arm down his arm bearing towards his shoulder until he submits.